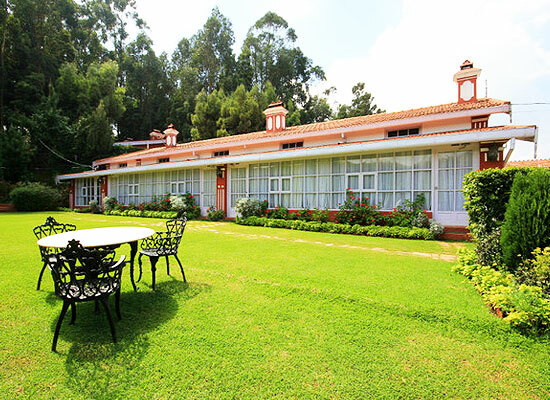 "The location of Kluney Manor, one of the most sought-after heritage hotels in Ooty, is totally meant for a leisure vacation, you get to experience the beauty of the so called Queen of the Hills (Ooty) at its finest. What further appeal the visitors are the external embrace of the lush green vegetation and the view of the hills, against the interior of this resort which has the ancient Victorian charm about it. A vacation in Kluney manor can transform you into a nature lover, as it offers guided treks through the forests and hills. Even a wildlife Safari can be arranged, the splendor of this hill station Resort will surely take you far away from your monotonous routines and hassles. 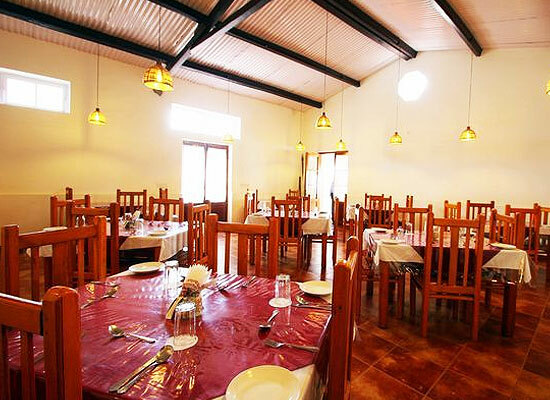 The simplicity of the place is just enough to make your stay comfortable and relaxed. The story behind this Heritage Hotel is, that long time ago when India was still the colony of England; Captain Macpherson of the British Army along with his team came to Ooty. They were allotted with the work of building road way up till Ooty from the plains. Finally after much of struggle, the task was completed. They were gifted with a piece of land on this ground by the Queen. Most of then sold the land and left for England but captain Macpherson in the year 1828 built the Kluney Manor. He was in love with Ooty and decided to stay. In later years the Maharaja of Patna made it his summer retreat. 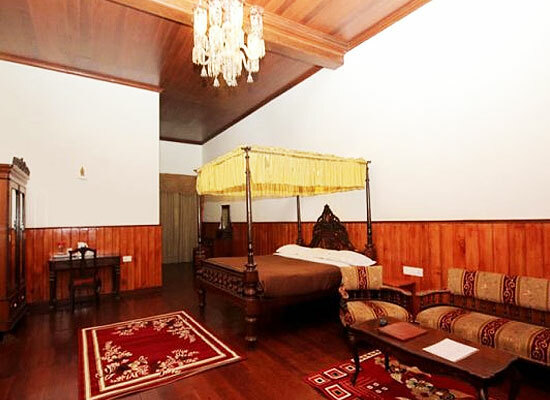 Presently this place is a heritage resort that still carries the soul of the colonial age. 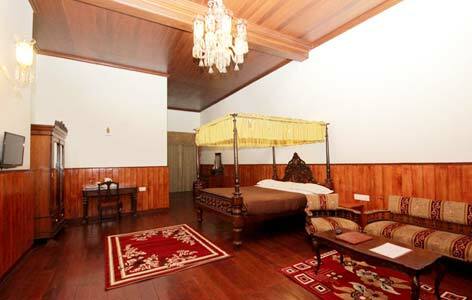 As the History of the resort suggests, the style of the design inside the hotel is of the colonial era. The rooms have a hint of Victorian flavor with fire place, limited furniture and wooden floorings. The climate of Ooty compliments the interior of Kluney Manor. Rustic Cottage: The rooms in the rusty cottage are cozy and comfy with a fire place. They are wooden floored and the view from inside is stimulating with the surrounding gardens and woods. Each room is equipped with amenities like coffee maker, hair dryer, LCD TV, Laundry service and room service. Classic cottage: The rooms in this cottage are set in a row; it has a fireplace and is attached with a cozy living room which overlooks at the beautiful view of the gardens. The main feature of this type of room is that it has period furniture. Coffee maker, hair dryer, LCD TV, Laundry service and room service are provided. Vintage Suite: The vintage is designed in a Victorian era style, the wooden floorings, furnished and antique furniture, a fireplace gives it all. The basic amenities are the same like a coffee maker, a hair dryer, LCD TV, room service and Laundry service. The restaurant in the Kluney Manor offers various types of dishes listing from continental to Chinese and of course Indian. American breakfast and the South Indian food are served too. Having a meal or just sipping a hot beverage along with the accessible view of the hills will prove to be relaxing and enjoyable. The hospitality and services are equally good. Ooty formerly Ootacamud, is a famous hill station in the state of Tamil Nadu. The location of Ooty is on the hills of Nilgiris, owing to the pleasant weather. It is one of the popular tourist attractions in the Southern part of India. The scenic view, the place presents is noteworthy. The hills covered with lush vegetations and smaller hills wrapped with tea estates are what you will get to see. Ooty is highly recommended spot for the tourists travelling to this part of the country, the sudden change of landscape and the climate which it offers are striking and pleasurable. Further, it has beautiful resorts which flatter the place more.